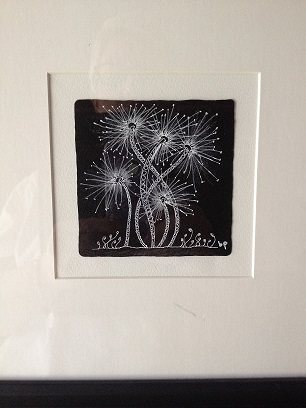 I have a new workshop scheduled, entitled “Tangle Print Impressions”. 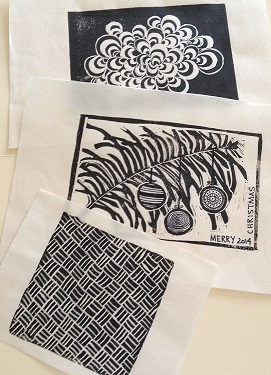 This is where you’ll learn to carve and print a tangle relief print to create an original work of art. 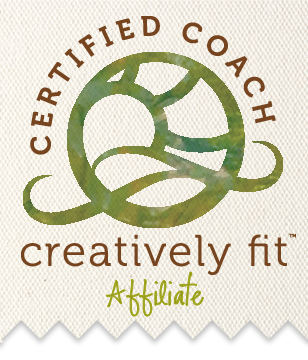 You can utilize this process for creating cards, stationery, journal papers, wrapping paper, fabric prints and more. Shown below are some pictures. From three black & white ones are Bunzo, Hollibaugh, and Keeko. 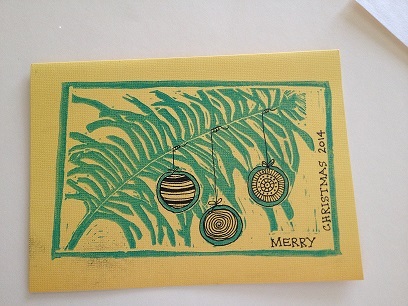 You can see that the Christmas card is two different prints (one black, one green). I used the tangle “Hollibaugh” and then tangled within the Christmas balls hanging from it. I’ve also been meaning to share some information one of my tanglers shared with me recently regarding white pens. I know some of you may not have worked with white pens on the black tiles, but they make for interesting pieces. I’ve also seen somewhere in the Facebook posts comments about white pens, so you might want to try a search there if you have questions (as well as using Google). I just thought Stuart’s thoughts might be helpful, plus if any of you have additional thoughts to share, please feel free to comment.